The festive period is when many people splash out on wines they might not normally drink. In this category, Champagne and sparkling wine leaps out as the quintessential Christmas purchase, but also sweet wines and fortified wines like Port and Sherry, that for some people are a once-per-year purchase. This is my personal selection of some interesting wines you might consider this Christmas. It covers a variety of budgets, and a variety of styles from whites and reds to drink with Christmas day lunch or dinner, to those special occasion bottles. Talking of which, there is already cut-throat competition amongst our supermarkets and bigger wine chains with the usual round of promotions, especially on Champagne: some with unfamiliar labels have appeared at under £10 per bottle already. These wines might well be excellent buys, but it does pay to be cautious and if possible to try before buying in quantity. Keeping an eye open for more modest reductions on better-known names might be a better option. Proof positive that Australian Chardonnay has changed, in the shape of this pristine, 12.5% alcohol wine from the Wirra Wirra team in McLaren Vale. The nose is all about apple and citrus (orange more than lemon probably) with a subtle melon and gently tropical tone beneath. On the palate a limey streak of fruit and acidity keeps the picture taut and fresh, though it is a wine with a bit of texture and nutty breadth too. The 12.5% was achieved purely by early picking of the grapes apparently, and matching up with some smoked salmon or a any seafood dish would work really well. 86/100. £6.50, The Wine Society. Australia again, but a complete change of style for this long-time favourite of wine-pages, the 3 Amigos. A blend of Marsanne, Chardonnay and Roussanne with a splash of Viognier is part-fermented in barrel using wild yeasts. It has a deliciously appetising nose where licks of lanolin and honey around stone fruits – peach, apricot and yellow plum – dominate over subtle spice. On the palate this is full and rich, with a weight of fruit and full texture, but a real clarity in the bone-dry finish showing very little oak influence and moderate 13.5% alcohol not too fierce. Ideal for coping with roast turkey. 89/100. £12.99, see all stockists on wine-searcher. This 2012 vintage wine is fresh as a daisy of course, and delightfully sippable either as an aperitif or with fish, seafood or lighter starters. Marlborough Riesling may be hardly as well knows as their Sauvignon Blanc, but the wines, like this one, are often beautifully pitched: not as austere as most Australian examples, with fleeting impression of sweetness softening the mandarin-orange and lime freshness and crunch, but with an icy precision in the finish. Delicious and a handy 10% alcohol if you have a long day of eating and drinking ahead. 88/100. 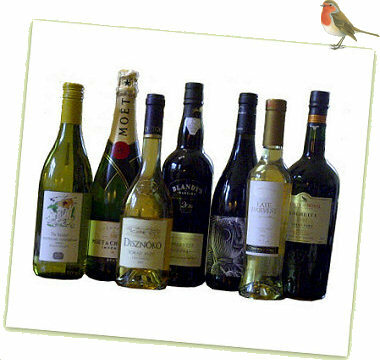 Around £12.95, see all stockists on wine-searcher. Jumilla in southeast Spain is the source of this unusual red wine, made by the partnership of Ed Adams MW from England and Bruce Jack of Flagstone Winery in South Africa, trading under the name ‘La Bascula’. With 14.5% from the hot south it is a big and bold wine blending 80% low-yielding Monastrell (Mourvèdre) and Syrah, with ageing in new American oak for just four months. It is sensational stuff at its affordable price, perhaps not unsurprisingly blending new world and old: copious, spicy, glossy and deep black fruit with a cherry and raisin edge melds with chocolate, the palate having depth and bravado, but a really fine energy too that stops it from being too heavy; anything but. Delicious. 89/100. £9.09 allaboutwine.co.uk, but plenty of independent stockists on wine-searcher. What an enthralling Hautes-Côtes-de-Nuits this is, from a relatively lowly appellation but one of Burgundy’s best domaines. The colour is a beautifully pale but vivid garnet, and the nose just sings from the glass with smokiness, truffle and briar-wood, a delicate cherry and rose-hip fragrance and just fabulous perfumed exoticism. On the palate there is no let-up: this has absolutely beautiful fruit, lush and yet refined, with the suede-like tannins, elegant acidity and smoothing coffee touches of oak all perfectly balanced. I’ll declare that this wine is imported directly by one of wine-pages’ minor sponsors, but that has nothing to do with my enthusiasm for a simply terrific Burgundy. What’s more, it’s £17.95 (down from £21.95) until January. 92/100. £17.95, www.ten-acre.com. Iona Estate in Elgin has built a formidable reputation for its cool climate white wines. But here winemaker Andrew Gunn has sprung a bit of surprise with a full-on, powerful red that is aged in French oak barrels (25% new) and is a pan-French blend of 80% Syrah, 10% Cabernet Sauvignon and bits and pieces of Merlot, Petit Verdot, Mourvèdre and the white grape Viognier. The wine pours a really intense, glass-staining purple colour and has a soaring nose, very expressive of kirsch and violet, with peppery and clove notes too. On the palate this is beautifully pure and supple, the 14% alcohol sitting comfortably within dense, fleshy fruit, very ripe and polished tannins and a framework of both chocolaty richness and pert acidity. It’s a smooth devil of a wine this, but a very nice one for beef or game. 92/100. £26.86, www.winebear.com. See other stockists on wine-searcher. Of course there’s a world of sparkling wine out there, from the frothy delights of Prosecco to the vivid purple sparkling Shiraz of Australia and all points in between. But this little selection concentrates on France, and of course, Champagne. Wine Rack also has the non-vintage cuvée from Simonnet-Febvre which is easy drinking and high quality, but for two pounds more I really enjoyed this 2007 vintage wine which is 100% Pinot Noir and is darker, toastier and meatier than the NV with a coppery hue and very small bubbles. Much racier, more savoury too, with lots of grip and lemon and orange pith flavour. A different animal from the delightful NV, but with much more complexity for just £2 more. This would serve as a classy aperitif, or to match to salmon or other fishy starters. £15.99, Wine Rack. See other stockists on wine-searcher. The non-vintage standard cuvées of Champagne giant Moët and Chandon haven’t always excited, but Tom Stevenson is just one authority who sees improvements there and certainly this 2004 is singing. The pale colour of the 38% Chardonnay, 33% Pinot Noir and 29% Pinot Meunier is very delicate, in a wine given extra ageing by cellar boss Benoît Gouez. The mousse is extremely fine too and the delicate aromas of hazelnut and digestive biscuit, with elegant floral and peachy fruit notes. There is more delicacy on the palate, where the low dosage of just 5g/l allows a certain pithy, crisp and tangy citrus and mineral quality, but not without charm and suppleness on the mid-palate too. A delicious Champagne. 93/100. Widely available around £40 including Tesco, Sainsbury’s and Waitrose. See other stockists on wine-searcher. This is only Mumm’s second vintage of this prestige cuvée, a 50/50 blend of Pinot Noir and Chardonnay from seven specific vineyards in Grand Cru villages including Aÿ, Ambonnay, Cramant and Avize. In fact it is a revival of a Champagne produced until 1985, and named after a former chairman of the company. Part fermented in new oak, the nose certainly has brioche, nougat and a touch of hazelnut, but there’s a linear, cool minerality too that suggests tension and precision. A little honeyed note too. In the mouth the mousse is ultra-fine, the bubbles persistent but gentle, and this is quite a vinous, broad wine with plenty of flavour. The dosage is low (6g/l) but there’s a fairly soft, expansive quality to this whilst the white fruit precision is there. This is a gastronomic Champagne, that has the charm to drink as a classy aperitif, but which would be even better with some seared scallops as a Christmas dinner starter. Mumm suggest a richer dish – Iberico ham with fried wild mushrooms on brioche – as an ideal match. 94/100. £94.50, www.thechampagnecompany.com. See other stockists on wine-searcher. This little half-bottle weighs in with 12% alcohol and though the residual sugar is not given, I’d guess it is somewhere around 90g/l, so medium- to fully-sweet. It’s a lovely little wine that would work with either blue cheese or fruity desserts, with a barley sugar edge to abundant ripe melon and tropical, guava and passionfruit notes. On the palate a little toffee and brown sugar, and a pleasing kick of citrussy, orange marmalade fruit and acidity to balance. Not hugely complex, but over-delivering at the price. 87/100. This wine is also sold as ‘Otorio’ in Tesco. £6.49, see all stockists on wine-searcher. Blandy’s is the absolute giant of the Madeira wine industry, but their size brings wonderful access to top vineyards and reserves of old wine of course, so is no cause for concern. This Malmsey (a single varietal wine made from Malmsey, otherwise known as Malvasia) was aged in oak casks using the ‘Canteiro’ method of gently heating the wines in one of Blandy’s lodges. It has a tawny/amber colour and nose that’s redolent of toffee and stewed figs, green walnuts, leaf-tea and spices. On the palate it is sweet but relatively light-bodied, with those nutty tones and a cleansing acid balance. Perfect with Christmas pud or mince pies. 89/100. £18.16, Waitrose, Fenwick’s, SH Jones, Adnams. See all stockists on wine-searcher. With 132g/l of residual sugar (and a beautifully balancing 7.2g/l of total acidity) this is a fully sweet dessert wine, but one that retains the elegance that is typical of the Disznókö estate too. Vanilla and custard from new oak ageing are still apparent, but so too is a welter-weight of creamy, full and ripe fruit; pear, peach and citrus. On the palate the silky weight of honey is gorgeous, with toffee and cream, a butterscotch richness and lots of that tea and tobacco character. As always the acidity is delightful; burnt orange and a touch of grapefruit, and huge finish showing spice and delicious lushness, but poise. 93/100. £25.60, selected Waitrose and Ocado.